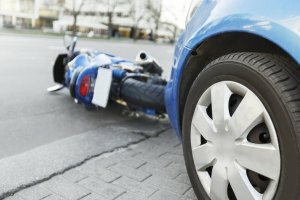 Motorcyclist And Passenger Killed After Crash With Honda | Schuler, Halvorson, Weisser, Zoeller & Overbeck P.A. A 20-year-old motorcyclist and his 16-year-old passenger were killed in a car wreck in Palm Beach County after the car hit an incoming Honda Accord and then plowed into a gas station fuel pump and burst into flames, police officials and the Florida Highway Patrol said. The 20-year-old motorcyclist was traveling west on Boynton Beach just past the intersection of Riviera Beach Highway when he lost control and struck the pump at a gas station, Florida Highway Patrol officials said. Both the driver and the 16-year-old female passenger were pronounced dead at the scene by the PalmBeach County medical examiner. The Florida Highway Patrol said, two people in the Honda Accord were taken to a nearby hospital. The victim’s names were withheld pending family notification. Photos of the aftermath of the horrific crash show the gas station’s canopy semi-collapsed and the bike mangled. It is still unclear if the motorcyclist or the driver of the Honda was at fault. The crash is still under investigation.